Expert critics in each genre of film, from romance to horror and sci-fi, have once again painstakingly revised this list of essential must see-movies to bring the must-watch list bang up to date for 2017, from great classics to more recent offerings like Moonlight, Arrival, La La Land and Mad Max: Fury Road. Illustrated with hundreds of stunning film stills, portraits and poster art 1001 Movies You Must See Before You Die offers an incredible visual insight into the world of modern cinema. It puts together the most significant movies from all genres, from animation to Western, through action, comedy, documentary, musical, noir, romance, thriller, short and sci-fi. Movies from over 30 different countries have been included, offering a truly wide multi-cultural perspective, and the time span includes more than a century of extraordinary cinematography. Packed with vital statistics, and a few facts that might surprise you, this is a collector's must for the bookshelf as well as an entertaining read for all those who love the world of film. 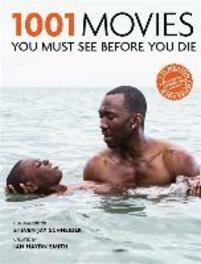 Whether your passion lies with The Blue Angel or Blue Velvet, from the films you shouldn't have missed the first time around, to the films you can see again and again, 1001 Movies You Must See Before You Die is the definitive guide for all movie lovers.